Looking for a great rhyming book! Check out Twinkle, Twinkle Little Star by Jane Cabrera. It is a wondrous nighttime tour of the world's animals, all snuggling up for bed under the stars. I purchased this book through Scholastic Book Clubs! Sign up and send the fliers home with your students to get the chance to purchase this great book! 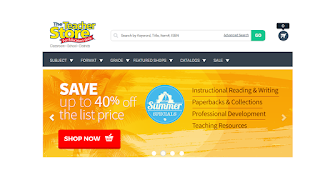 You can earn free books for your class! I plan to play many games and do a few art activities with the animals and stars! I made the imovie above and plan to have it on my ipads as a listening activity! Seesaw made it so easy to share with my students this summer....so I can use it right now and not have to wait until next year to share a great book!! If you have not used Seesaw yet, sign up now, play a little!! take a chance! 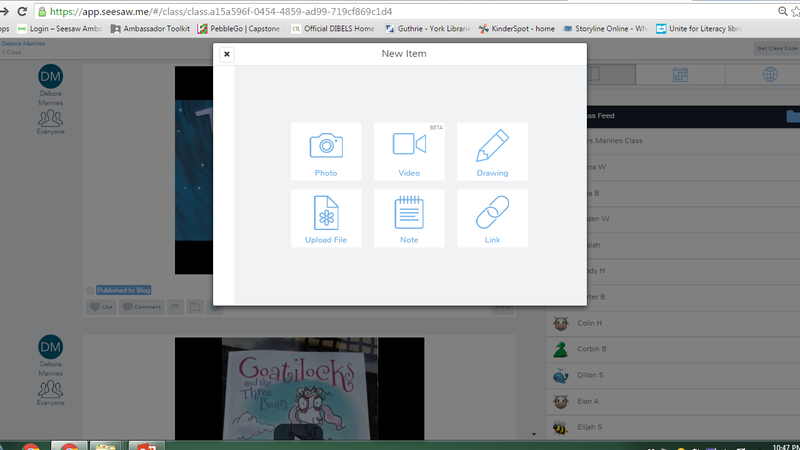 What have I done with Seesaw so far, during the summer? you ask? I also read a few books using the video feed view. I just click video and started recording! You can check out Goatilocks and the Three Bears on my Seeesaw Website. You can't stop when you record, so it is read and go! Fun but don't expect perfection! I shared all the different books on my "Seesaw" blog so you can see the difference! Click on the picture to go see the examples! Take a chance! Try Seesaw NOW before the year starts and have some fun!